Both TiltShift and TiltShift Lite are fully compatible with OS X Mavericks. There are no known bugs. Please report if you find problems so they can be fixed in an upcoming version. 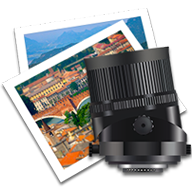 As explained in a separate FAQ entry, the Aperture Plug-in has been discontinued a few years ago. It has not been available for download or purchase in a very long time. Several users have reported that it no longer works in the current version of Aperture on OS X Mavericks. The Plug-in will not receive any further updates. Please use the standalone version instead.